March 27, 2018, 11:04 a.m.
By Shan Wang @shansquared March 27, 2018, 11:04 a.m.
Two years, two dozen experiments, one Brexit and one U.S. presidential election, and hundreds of thousands of readers later, the Guardian Mobile Innovation Lab has wrapped up its work on improving news delivery on smartphones. It’s examined better formats for push notifications, a web player for podcasts, offline news reading experiences, live polling, and article formats that automatically adjust to readers’ past reading behaviors. It’s worked in public, from setting up the initial questions and problems to gathering user feedback on each project. It’s also deliberately centered its work around off-platform experiences publishers can more easily own — no “how to make good AMP stories” here (platform representatives were invited, but none apparently showed). The Mobile Lab team and speakers from other news organizations, including some it’s partnered with over the past two years to run experiments, put together some practical insights around newsroom experimentation and innovation in a culminating event on Monday. Over the past two years, did we ever get in your head? The Mobile Innovation Lab was funded by a $2.6 million grant from the Knight Foundation, and was intended to carry out its experiments within the Guardian U.S. newsroom. (The Knight Foundation also supports Nieman Lab.) When Nieman Lab first interviewed Mobile Innovation Lab co-leads Sasha Koren and Sarah Schmalbach about their vision for the Mobile Lab, both emphasized the project’s knowledge-sharing mandate, and its embededness in a real newsroom with real technological and editorial needs. On Monday, the team took a step back to look at what newsroom “innovation” requires on a practical level, especially as “innovation” itself has become a muddled buzzword in the past few years. The Mobile Innovation Lab was a tightly knit, tiny team. How can larger news organizations balance and respect the schedules of their various team members, who may have competing demands? – "Involve them from the start." – "Give them time to research." The speakers also gave some notes on effective experimentation, including how to think about the most relevant metrics for evaluating whether or not readers took to the feature being tested. Maass Media designed new metrics for @GdnMobileLab: net interaction rate. Newsrooms that collaborated with the Mobile Lab on experiments like live, updating push notifications — The Wall Street Journal and Univision, for instance, — described their processes. We’ll link to slides and transcripts from the full range of Monday’s talks here as soon as they’re available. The set of concept papers and case studies from the Mobile Lab’s run are available on its Medium page. This Lab’s coverage of that Lab’s experiments are available here. 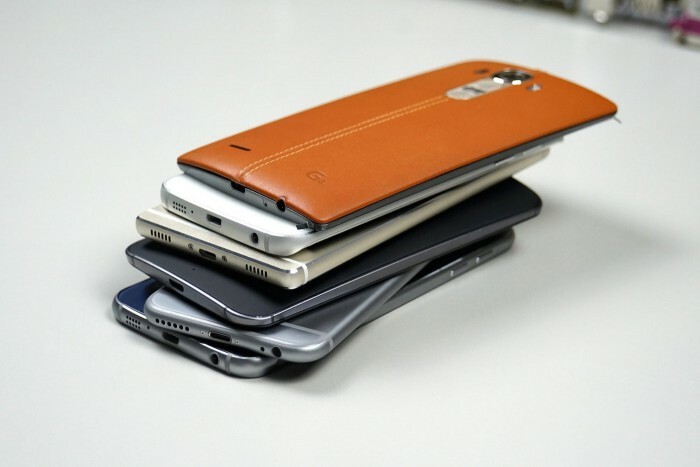 Photo of a stack of phones by TechStage used under a Creative Commons license. POSTED March 27, 2018, 11:04 a.m.
Wang, Shan. "What The Guardian’s Mobile Innovation Lab has learned after two years of experimenting with better news delivery on phones." Nieman Journalism Lab. Nieman Foundation for Journalism at Harvard, 27 Mar. 2018. Web. 24 Apr. 2019. Wang, Shan. "What The Guardian’s Mobile Innovation Lab has learned after two years of experimenting with better news delivery on phones." Nieman Journalism Lab. Last modified March 27, 2018. 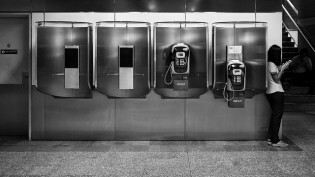 Accessed April 24, 2019. https://www.niemanlab.org/2018/03/what-the-guardians-mobile-innovation-lab-has-learned-after-two-years-of-experimenting-with-better-news-delivery-on-phones/.